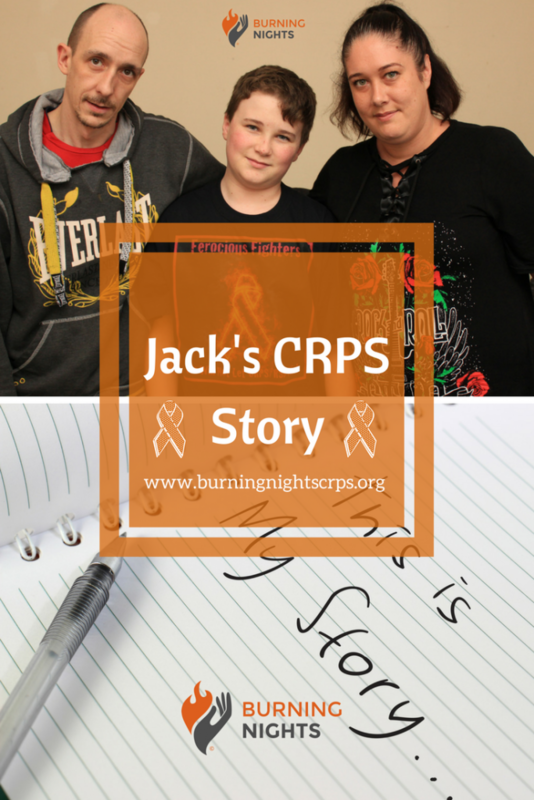 Jack Leigh is a 14-year-old boy from Lancashire who has been diagnosed with Complex Regional Pain Syndrome (CRPS). His family want to tell his story in the hope that they can raise awareness of this often misunderstood and misdiagnosed condition. AT 14-years-old Jack Leigh would like nothing more than to grab a football and go and have a match with his mates, sadly that is no longer possible. When he was 10 he was in a street dancing duo that was the fourth best in the world, however in May last year he landed awkwardly after a back flip while practising a dance move and sprained his foot. What would normally be a simple injury to recover from, led to months of intolerable and inexplicable pain and frequent visits to the doctor. He was finally diagnosed with the rare disease of the nervous system Complex Regional Pain Syndrome – CRPS – in July. He had medics telling him he was ‘making it up’ and it was ‘all in his head’ but the pain was real and it was destroying Jack’s life. Jack, and his siblings Kelsey, 10, and Jayden, nine, live with their parents Vicky Leigh, 36, and Lee Pennington, 38, in Bacup, Lancashire. At Rawtenstall Hub, physiotherapist Paul Phythian was the first person to mention that Jack could have CRPS. 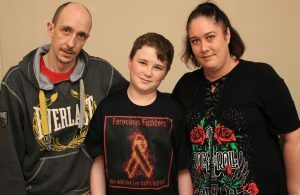 Vicky said: “I went back to our doctor and got a referral to Royal Blackburn Hospital, but there was a six months wait. “My younger son Jayden had a check up at the Royal Manchester Children’s Hospital for his club feet and on the same day I got a call from Jack’s school Whitworth Community High to say that he was in agony with the pain and could I collect him. So I ended up taking them both. “At the hospital the orthopaedic consultant was very concerned with Jack’s condition and she diagnosed CRPS.” CRPS is an often misunderstood condition and causes the patient to suffer extreme pain. 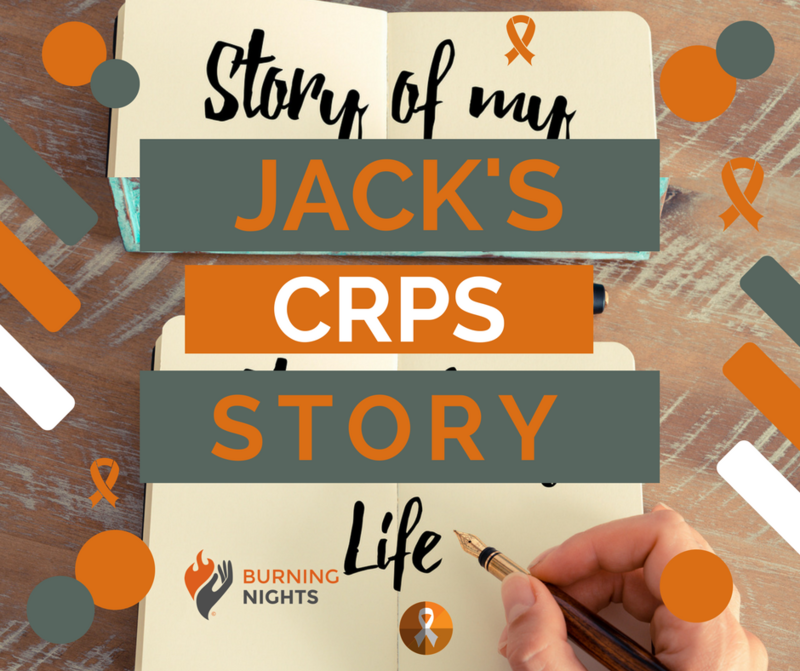 Jack is telling his story because November is CRPS awareness month. Intensive physiotherapy and hydrotherapy sessions enabled Jack to slowly regain use of his limbs, albeit he can only walk small distances and still cannot bear someone to touch him. Jack said: “The medicine affected my mood so I decided to try to take myself off the drugs and I then felt better and I became more aware of my surroundings and what was going on. I was determined to get better. “When someone touches me it is like there is an electric shock and I get a stabbing pain, I flinch and there is a burning sensation. “At school I use a laptop because I struggle to hold a pen or a pencil for any length of time and I am very slow at typing because each time I hit the keyboard it hurts. “Sitting on the sofa I feel electric shocks that make me jump, my knuckles are achy and where they touch the cushion it is like they are on fire. My feet feel like they are permanently crushed in my shoes and when I walk every step is painful. “I want people to understand this condition. They can’t see it so they don’t think anything is wrong with you.” Vicky was told that young people who are diagnosed have a good chance of remission in the first year; but that has already past. Jack hopes that in the future his condition will improve and one day he will be able to play football again.